Sebastián Urdiales Mexico’s Newest Young Star! In our continuing search for rising young talent from every corner of the globe we often come across talent that has already claimed great success in their part of the world, yet not found their way to international attention. It’s with great pride that we introduce for the very first time here at Rivenmaster’s Place Sebastián Urdiales. 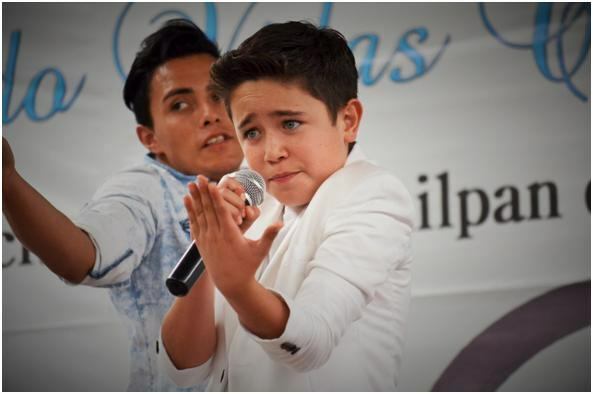 Thirteen year old Sebastián Urdiales is one of the fastest growing young talents to come out of Mexico City, Mexico! 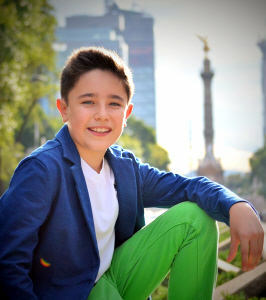 Sebastián who is currently in the 7th grade is a talented young singing performer and actor. He comes with an impressive resume and growing list of experiences both on stage, screen and television. As soon as I stumbled on his YouTube Channel I wrote to his parents for the full story behind Sebastián. I was soon in contact with his amazing family and well on the way to bringing you his story. 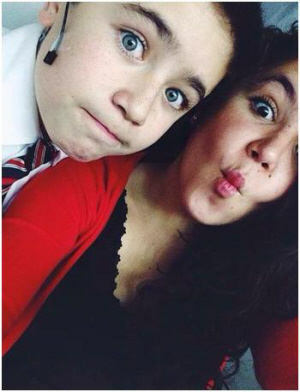 Sebastián was born in Mexico City on September 15th,2001 and his family consists of his Mother, Father, and older sister Olivia, who also serves as his best friend. Since he was very young, he has had a great interest in nature and animals. His favorite hobby was to go out of town to go fishing and camping. For this reason Sebastián has developed a keen awareness of ecology and care for the environment. Sebastián also has personally rescued a number of pets including snakes, hamsters, parrots, cats, canaries, frogs, turtles, fish and dogs. Since 5 years old he has practiced Taekwondo and attended a number of competitions throughout his country. In the same sports club where Sebastián practiced Taekwondo, his sister took dance classes, called Latin Rhythms. Sebastián expressed a great interest in what his sister was doing, but was too small to perform the choreography routines. However, due to his insistence to take dance classes, his Dad spoke to the teacher. The dance instructor said she would start up a sample class for a younger child in order to appease him, but when Sebastián surprised the teacher with his ability, she soon enrolled him as a dancer. He was the smallest in the class, but this fact did not seem to faze him in the slightest. He is the smallest boy down in front in the mask and cape.